FR. 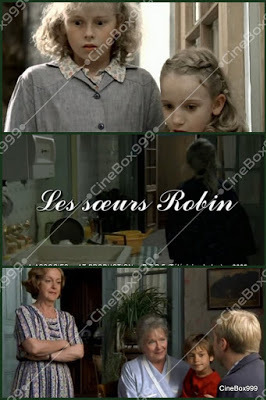 Célibataires, Marie et Aminthe vivent dans la maison de leur grand-père. Au moment où la seconde pense qu'il faut vendre cette demeure dans le but d'acheter un appartement, elle se heurte au refus catégorique de la première. EN. Two elderly ladies, Marie and Aminthe, both single and without children, live together in the house of their grandfather. Aminthe lives in the memory of Fabien, her husband to-be, who died in Indo-China more than fifty years ago. Marie, the elder one, likes to remind the happy time of their childhood - before they lost their parents prematurely. As kids, each have their own character flaws but seem to have a pure and simple childhood. Now, they live their pensions - small -, vegetables of the kitchen garden that Marie sells at the market and of the piano courses which Aminthe gives... Not enough to maintain their old residence, badly heated and of which the roof is to be remade... But when Aminthe affirms that it is necessary to sell and buy an apartment, Marie refuses categorically. Soon we learn what secrets these girls have kept all their lives. Cast: Line Renaud, Danièle Lebrun, Arthur Vaughan-Whitehead, Stéphanie Fatout, Elodie Le Brun, Bruno Buffoli, Cyril Brisse, René Pillot, Mathilde Verkinderen, Garance Le Guillermic, Carine Bouquillon.